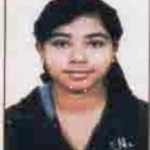 Poulami Das from Bombay, B.Pharma Graduate. Poulami Das is SUMMER INTERNSHIP 2017 and currently have no work experience. M.PHARM + MBA (P T &..
are one of expert skill area's of Poulami Das . Poulami Das is working in Health Care industry.